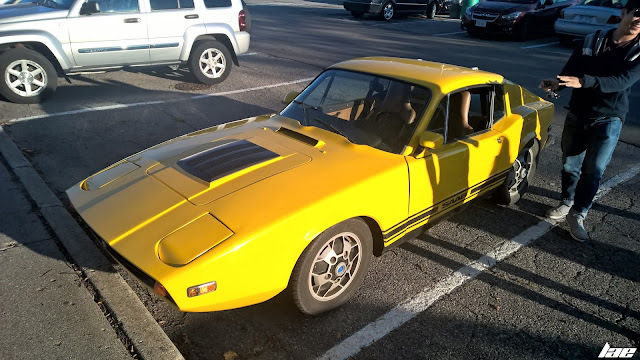 The first time I had ever heard of a Saab Sonett was in the first season of Top Gear America, when Adam Ferrara interviewed Buzz Aldrin. I thought it was kind of a cool looking car when the picture flashed up on screen. 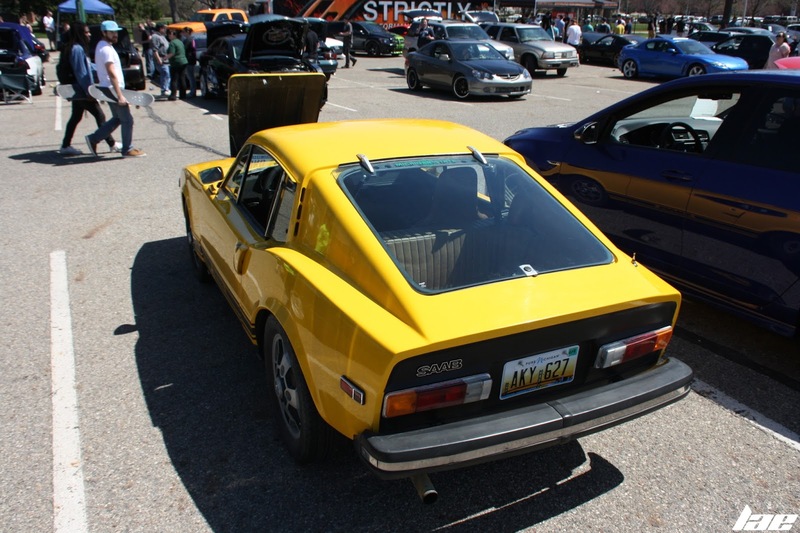 It just so happened that one of the guys who used to hang out with my car club owned one of these, as well as an old 900. Having known almost nothing of the Sonett, other than that it existed, I was eager to talk to the owner about it. 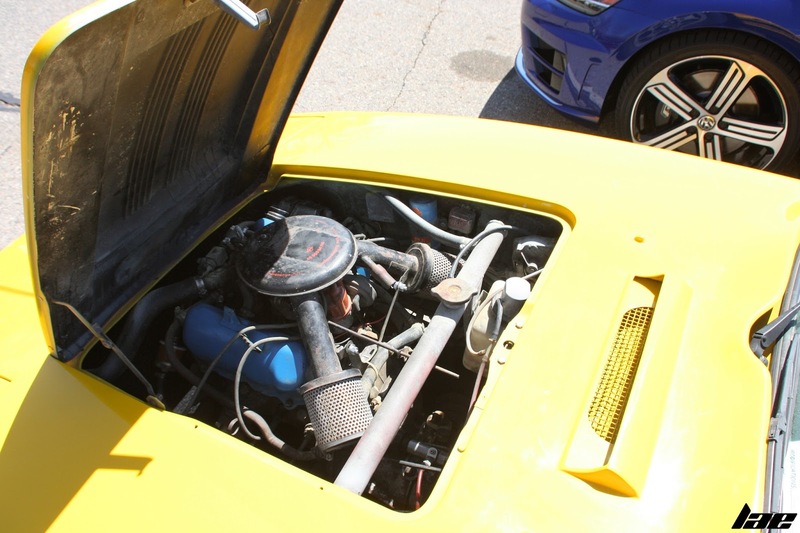 So, as you would expect, I was rather intrigued by what was under the hood. 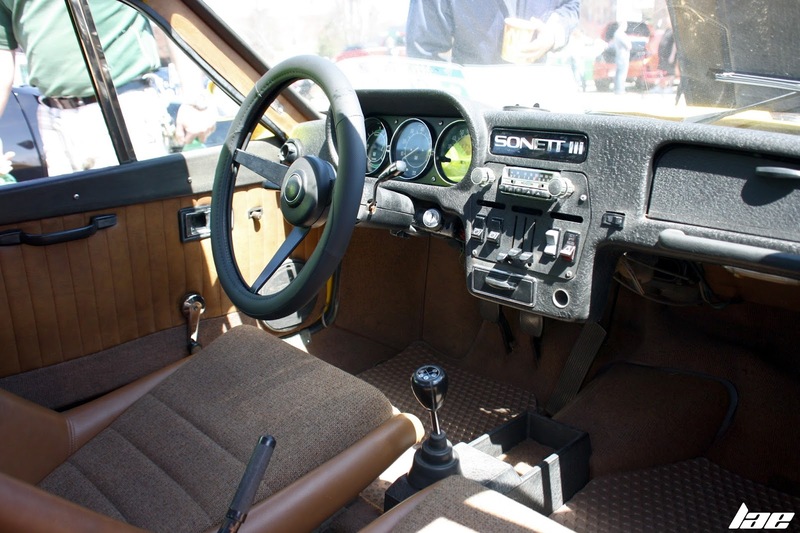 The Sonett III, from 1971 - 1974, used the Ford Taunus V-4 engine. 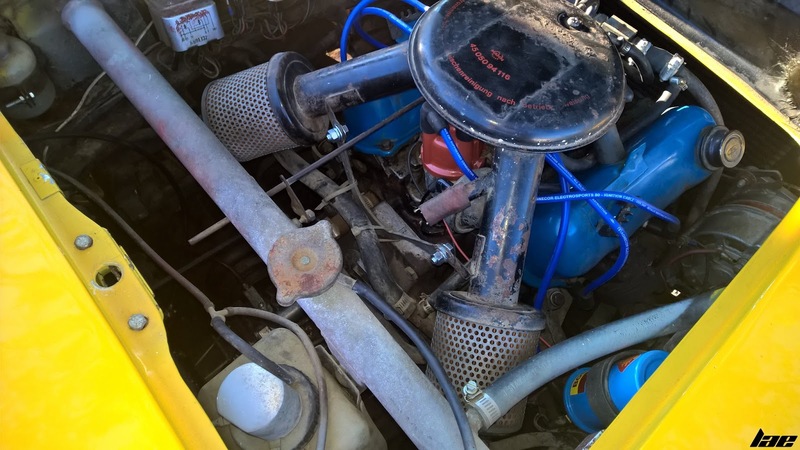 This example is a 1.7L making about 65hp. The interior looks deceptively spacious. Until you see the steering wheel. Before this car, I can't say as I'd ever seen a dashboard like that. -Thanks for reading. Check back for more content soon!